Ok. I totally love batiks – I love how they look. I love how there is no top or bottom. I love the designs. And up till now, I even loved how they quilted. Till now. Seriously, I now hate batiks. Ok, that’s wrong. I don’t hate them. It’s kind of like after your brother tells you to touch the electric wire – it’ll be fun he says – and you know how that turns out, right? Kind of like that. You still love your brother, but the next time he tells you something will be fun you’ll not take him at his word, right? That’s how I feel about batiks now. I still love them, but I don’t quite trust them to behave. 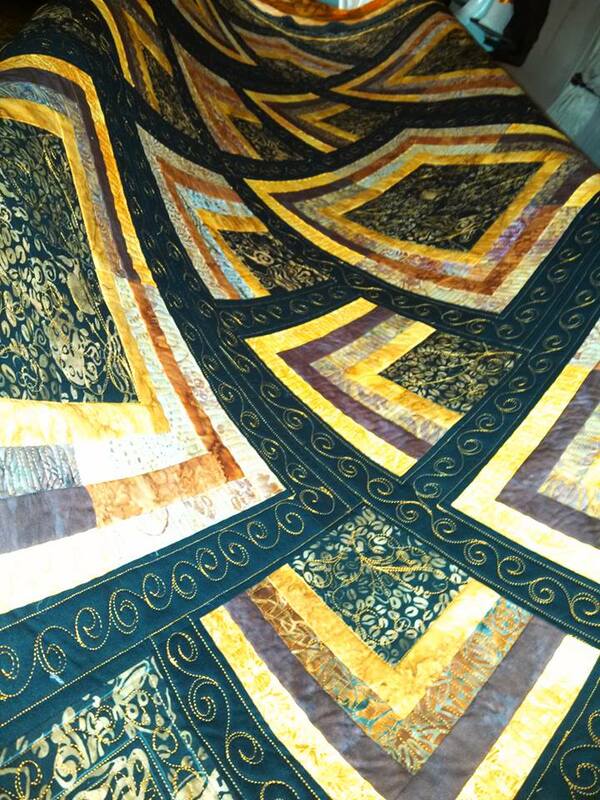 This first batik quilt was done by Cheryl. I love Cheryl. Her quilts are always so perfect and I get to play with the quilting and she is so supportive and generous with compliments. I mean, really. Who wouldn’t love her!? Well, this is a gorgeous quilt – her own design, really, this time. And it had black batik to PLAY with. I mean OMG, I was SO looking forward to doing this quilt. I had read horror stories about batiks, but I had never had any problems quilting batiks in the past. I had a great longarm; I was using Glide thread; what could go wrong? Well, in short, everything. This quilt spiraled into the quilt from hell. Seriously. The quilt after this one was also batiks. While it started out with similar problems, I was quickly able to get it under control and finished it with no problems. So, What In The World?! was different? One had a mixture of washed batiks and unwashed batiks (the bad quilt) and the other had a mixture of unwashed batiks and cotton (good one). One used Glide thread (bad) and the other used So Fine (good). One had black batiks (bad) and the other had a variety of colored batiks (good). What was the problem, you ask already? My thread kept Breaking and Shredding. I tried every trick I knew. Nothing helped. To top it off, the pattern I chose on the “bad one” was one where every single break would be highly visible. OMG. So, what do I think caused the problem? 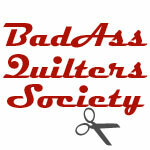 I wasn’t sure what to blame until another quilter told me that she had problems with black batiks. That something in the black dye of those batiks were notoriously cursed for longarms. I TOTALLY believe that. Like black = evil. Totally makes sense to me. I had one or two like that recently. When it is 104″, you really get crazy…I had batting pokies on the back with one and thread problems with the other. And I use batiks all the time without any problems. Just insane. But Joy, the black in my quilt was not batik, I think the problem was that the back was batik. I won’t do that again!! I feel terrible that it caused you such grief! 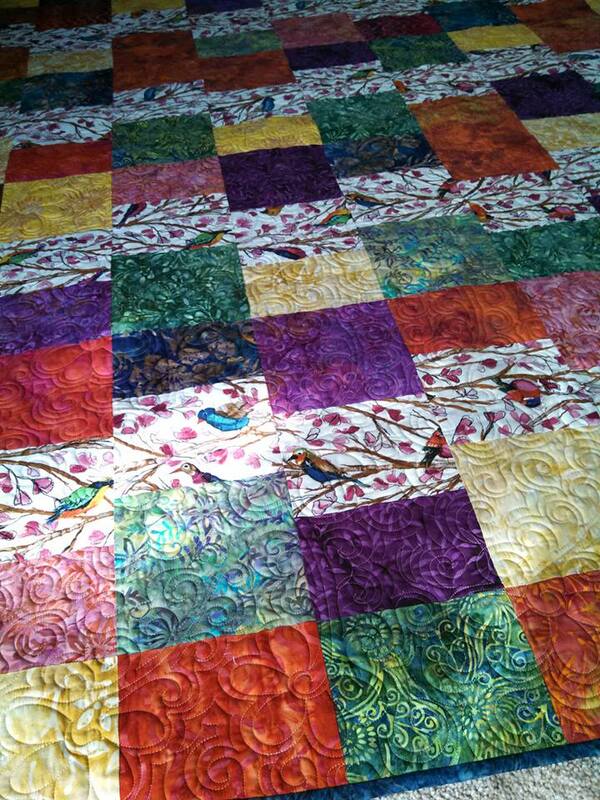 I have to tell you that the girl friend who received the quilt as a gift loved, loved, loved it. She cried when she saw it!! Thank you again!! I’m SO glad she liked it. So, hmmm, was the black print kaffe fasset? You’re too nice. 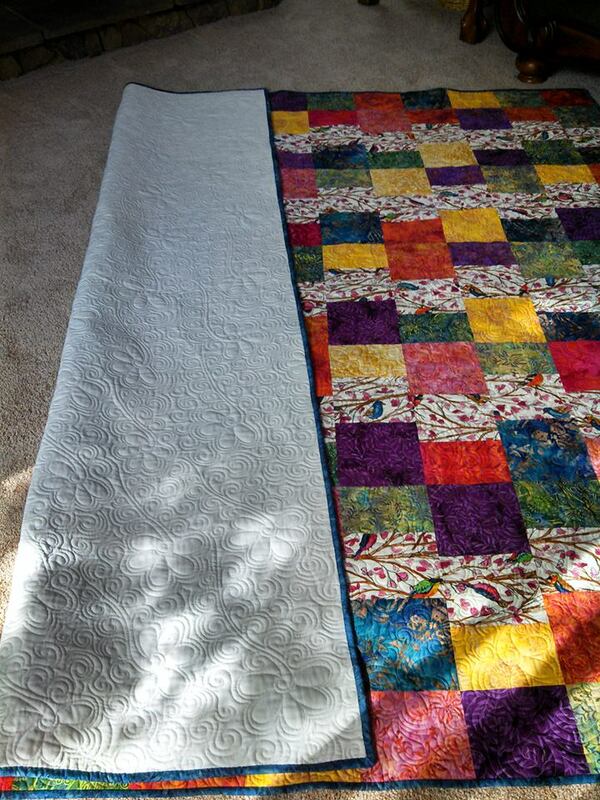 Worrying about quilting tension is part of being a longarmer. I’m super glad she cried over it. It makes it all worth it then! LOL. Ohhhh, yes the black and tan with the coffee beans was a batik, I was thinking you were talking about the sashing and large corners. I still think it was the backing. They both turned out beautifully Joy! 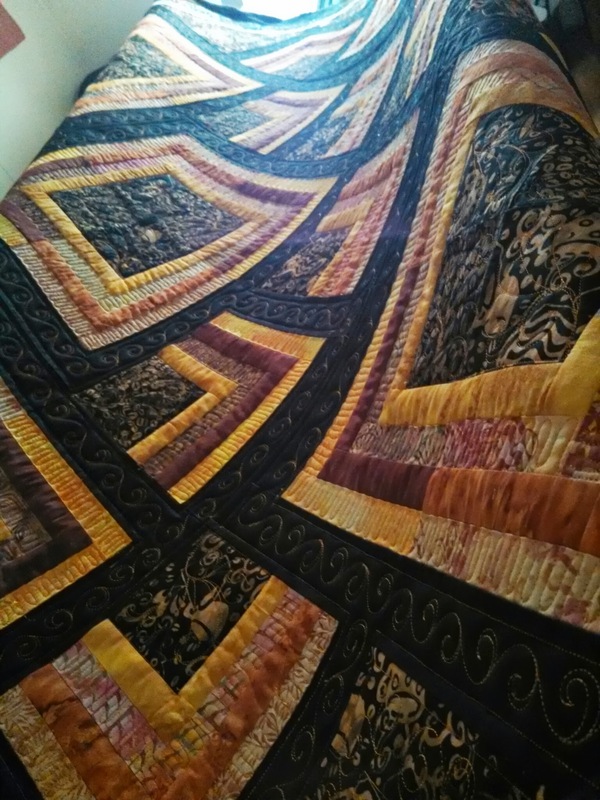 I have quilted a ton of batik quilts without a problem, and have always wondered why people complain about them all the time. But there is always a first time for everything! I don’t think i have ever seen a black batik? As for backing batiks I’ve not had to much of a problem with them except for a few batting pokies. I will be sure to keep my eyes out for black batik fabrics, so I run and hide if they try to walk in my door! Your doing such beautiful work Joy. I think your right though, Longarmers really are fussy about the tension issues.! !